What are your thoughts on education system in India? What measures to be taken into consideration to improve its quality? Speaking on "HR as a Game Changer" at MIT. I came from the middle class family. I educated from vernacular medium school till SSC. Teachers, that time, were more committed. I remember when our teachers used to take extra classes without any extra tuition fees. It does not mean that they were earning well, but their commitment to the teaching profession was high. My success still is in the commitment and values taught by my parents and committed teachers. It does not mean that it was best education system, but teachers were going extra mile and students’ success was considered their success. Our education system is focus more on instructions. It is a time to re-look the whole system. More focus on modeling and experiential sharing should be given. Academics and theory make your foundation sound, but students should be allowed more experiments. To summarize with the education should be more practical, on the shop floor rather than in class rooms, with the use of technologies. We should en courage to do the as much as experimentation and innovations. Winning professionals are successful because, they made experimentation. They learn from mistakes and they excel in their professional world. Most importantly, they succeeded in adverse conditions. There are no ideal conditions. I think their experience can be the motivation to the aspiring professional. These professional can support India by giving their inputs for making policies. They can be mentor and coach to the students and researchers. They can be viewed as role model. Let’s use their expertise. Unfortunately, their expertise is not fully utilized. In business colleges and institutes, these professionals are invited just for the rituals. Is there any motivation to these people to share their wisdom and expertise? There are autonomous industry association bodies, but does government has invited these professional? Very few. As said by Jack Welch, business is the game and it is all about winning. The team that wins is the team with the best players. HR’s job is to field the best players. Biggest pain areas are deploying the right talent. I believe that talent is vital in business growth, but right talent is. The struggle of line managers is to identify the right talent in their team. Another pain point is engagement and retention of the right talent. Now a day, employees have lot of expectations; their target year in any company is, maximum 3 years. Their drive is totally self-centric but still believes on hardworking and performance. The issue is how to match their expectations. What kinds of Challenges are there in panning Human Resource Strategies in an ever changing business? 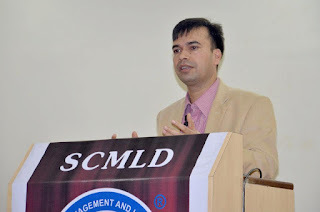 My suggestion is “don’t stop learning.” Update your concepts on different HR practices. Benchmark with others and try to implement the best things. Improve on soft skills. HR success is not only for functional expertise, but is on how you play the role of partnering the business. HR needs to be more credible and advise business leaders on their HR issues. Another factor is how you engage your employee with creating your own personal brand. So, network in the organization for selling your HR ideas. 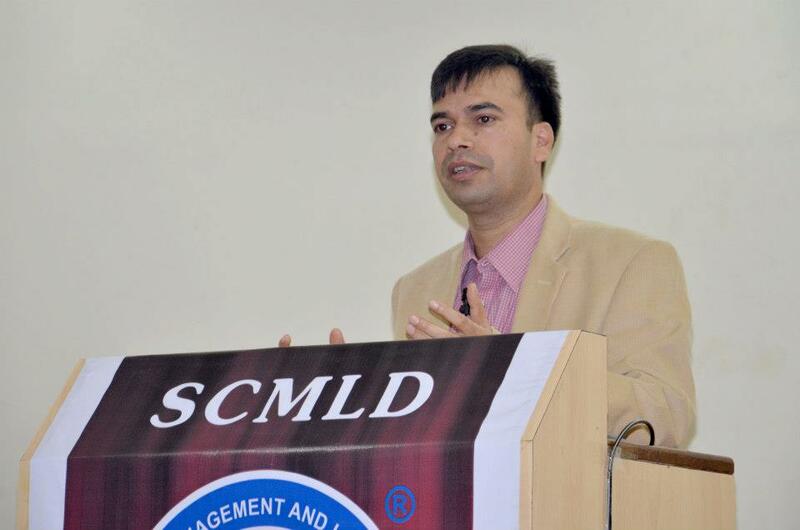 Speaking on "Employability" at SCMLD. There will be different roles in HR function itself. HR experts, HR services and HR business Partner. As per the drive of HR professionals, they can move in all these functions. Use of technology will be crucial for right HR decisions in Talent Management. HR business partners will be expected to play the role of advisors to business leaders supported by other two functions. They are expected to be change agent drive the HR strategy. Talent in the organization is calibrated and identified as per their potential. This is validated by different functional leaders based on their interaction with the person and his performance. The identified potential also goes through the development center. Apart from this their attitude is important. Off course their knowledge and skills are important, but more important are their attitude and soft skills, like team skills, communications skills, his way of interacting etc. However it is purely depend upon his area of work. What is the relationship between the HR Department and the CEO? Vinotbidwaik.blogspot.com, Silicon India, CiteHR, HRlink.in, Human Capital, APS Labour digest, Harvard business review, Indian Management and book written by Dave Ulrich, TVS Rao etc. I also suggest reading motivational books written by Steven Covey etc. Books like HR transformation, HR Champion, Mind of Strategist, The Duckling Duck, One Minute Manager are worth readable books. “Daily Drucker” should be on every manager’s table. I am Varsha working as a faculty-HR with PICT-School of Technology and Mgmt Pune. I had gone through your interview , very informative and it will definitely hele in my teaching. Thank you so much for sharing this with us.